For the past ten years, my research has centered on regional food provisioning and exchange systems. 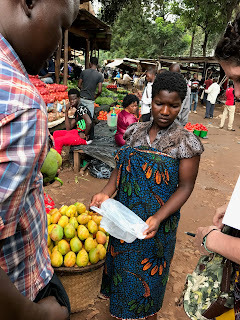 Since 2014, our Malawian and American research team has focused on Lilongwe’s food economy, where it became evident very early on that collaborating with the municipal government was necessary to understanding and supporting city food systems. This is because a vibrant, equitably accessible, and remunerative urban food economy hinges on the material conditions of the city and its markets, and the extent to which people can access clean water, toilet facilities, electricity, sanitation services, secure trading spaces and storage facilities, decent drainage, and transportation. In other words, food provisioning and exchange that meets the needs of citizens requires the attention of public sector decision-makers and planners with the purview over city infrastructure and economic development. Collaborating with the public sector is necessary because the widely distributed food exchange networks that feed most people in Africa will continue to be an important source of food and livelihood well into the future. Perhaps they even are the future. Though the public sector’s involvement is necessary by virtue of their responsibilities, the extent to which they can support food-related economic and physical infrastructure is severely limited. Like the retailers, transporters and markets for which they have responsibility, the public sector is severely resource-constrained. Many African cities and towns are growing quickly; housing, markets, and economic activities emerge almost overnight in areas devoid of municipal infrastructure to support them. Municipal offices that would ostensibly be responsible for oversight exist, but are often functionally invisible on a day-to-day basis. Officials in these offices are commonly perceived to be rent-seeking, non-responsive, non-transparent, and overly aggressive, and they often are (see, for example the brutal evictions recently carried out in Lagos, Nigeria). But, even with the best of intentions, and under normal conditions, many city officials lack the tools, training, staff, and resources to respond constructively. 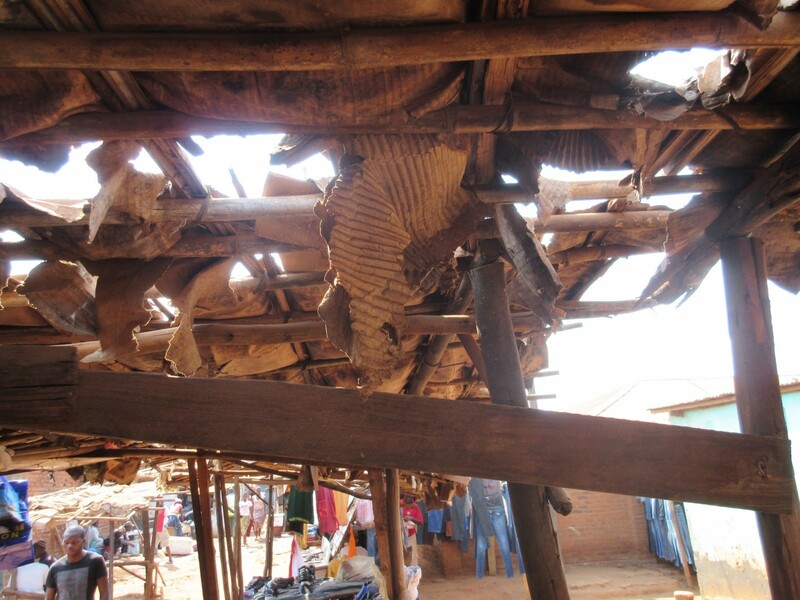 In the wake of Cyclone Idai, a number of observers remarked that the state was basically invisible in terms of any meaningful response to survivors. For many years, the capacity of the state has been stripped of resources through the application of structural adjustment policies, which marked the beginning of the fetishized private sector in Africa, and emphasized market liberalization and expenditure cuts to public infrastructure, education, social services, and research and extension. In virtually all messaging from organizations concerned about mitigating and adapting to the effects of climate change, the primary responsibility “to develop and implement integrated policies and programs that build resilience and reduce the vulnerability of their populations” falls to national governments. Cyclone Idai has revealed just how incapable Mozambique’s administrative state is of accomplishing the most basic of tasks; even issuing a warning about the impending storm was beyond their scope. Cyclone Idai has, in this case, revealed how unprepared Mozambique and Zimbabwe are. It is easy to blame pervasive internal corruption for this failure, but important to situate that corruption in an historical context. The run-of-the-mill dysfunction that characterizes much of Africa’s administrative state, and the relationships between government and citizens (like those in the Lilongwe food system), is an outcome, in large part, of colonial legacies and ongoing neocolonial conditionality. A 2018 report by the Political Economy Research Institute notes how “‘structural conditions’ can exert a deleterious effect on bureaucratic quality, as they increase the risk that bureaucrats fall prey to special interests and reduce the range of policy instruments available to bureaucrats…” Though this report concerns economic planning, these same obstructing conditions also apply to bureaucratic functioning writ large. For example, conditionality puts caps on spending and imposes limits on the number of personnel hired and the benefits that can be offered. State capacity is a widely recognized determinant of bureaucratic policies and practices that serve citizen wellbeing. Ongoing conditionality, which serves free market ideology, degrades the capacity of the state. This does not bode well for the unfolding climate disaster that will require both immediate and long-term strategic planning; the ability to marshal scarce resources towards prevention and reaction; leveraging the capacity of different units of government through coordinated responses; supporting public research and extension systems to develop novel approaches; and communicating with communities about what they can do to reduce risk in a climate-changing world. Simone, A., & Pieterse, E. (2018). New urban worlds: Inhabiting dissonant times. John Wiley & Sons. In this article, I address what I perceive as a pervasive fallacy running through lots of development programming: the idea that development must be 'transformational' or that solutions must scale. Often improvements in peoples' lives are incremental, and to outsiders, they often appear small. But improving profit margins even just a little bit is significant in places where people are living on the edge, making household spending decisions on a daily, or even hourly, basis. The idea that all solutions should 'scale' tends to cause development programmers to avoid drilling down into local context and conditions. These are some of the things students in the Frugal Innovation Practicum learn. Urban food markets in the developing world are commonly plagued by trash, poor sanitation, and dilapidated infrastructure. Even so, they are vital nodes in food systems, serving as the link between urban consumers and rural producers. Because these markets enable easy access to food by urban residents and offer many food-based livelihood opportunities, they are critical to city food security and sustainable regional development. As nodes in food systems located in cities, they also offer a perfect place for shining a light on the conditions that inhibit or enable urban food security, an issue that will undoubtedly move to the front of food security agendas as the world continues on its urbanization trajectory. 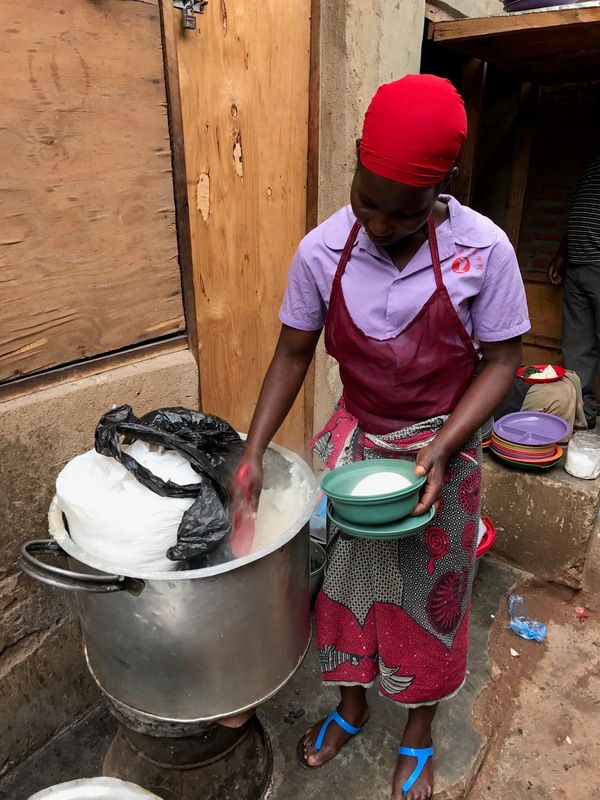 Looking at and understanding how urban factors affect access to food or the ability of a food retailer to do her job, will increasingly become part of what development practitioners and policy makers need to know. Enter the Frugal Innovation Practicum, an innovative service-learning opportunity, in which students from Michigan State University (MSU) and Malawi’s Lilongwe University of Agriculture and Natural Resources (LUANAR) grapple with problems in markets and collaborate with the community to propose strategies for addressing them, such as installing toilets, lights, and water taps. How are these market improvements fundamental to food security? "If the markets have so many problems, then the quality of the food might not be that good. So helping to solve the problems that the markets face will help not only the traders, but also the consumers,” said Caroline Phiri, former practicum participant from LUANAR. “The markets serve a lot of people, not only from rural areas but also from urban areas. I believe the markets are really important because they provide so much that people need. I feel it’s really important to help solve the problems that the people face in the markets. Every market has a specific problem that they're facing." For the last two years, MSU and LUANAR have crowdfunded a total of $6,683, which was donated to six market committees for the improvement projects that students and retailers identified as being most critical. 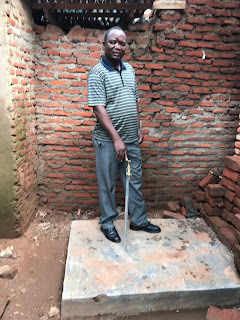 This money, in conjunction with monetary and in-kind contributions by city officials and market communities, has been used to upgrade toilets and install water taps, lighting, and a security gate. An easily accessible water tap has also increased Ackimu’s profits from selling morning tea. “Business is good now because I come early, and cook tea and they buy it [while it’s hot]. 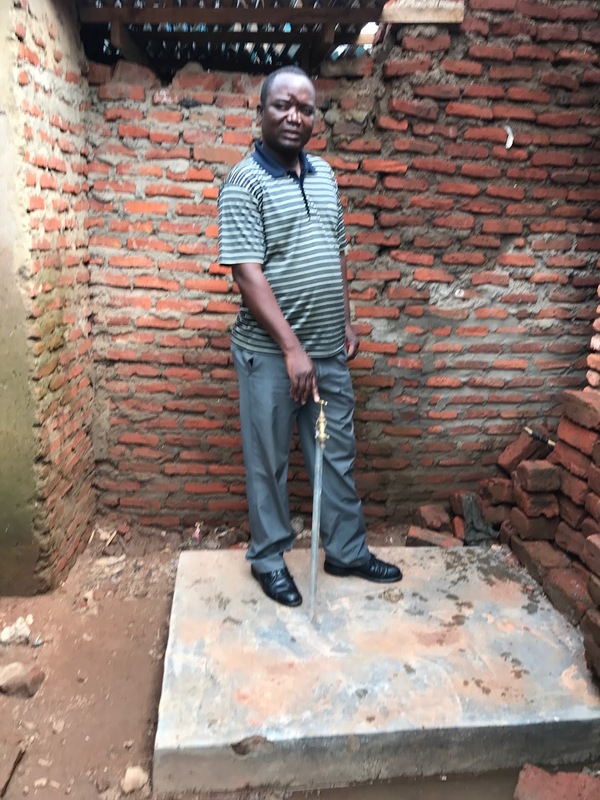 When I fetch[ed] water [from afar], I made tea at once and it got cold.” Now Ackimu’s customers can count on a hot cup of tea each morning. Are such quick fixes transformational? Probably not. But the process of creating relationships and a platform for discussion, collaboration, and transparency underlies how the practicum is implemented. The small infrastructure projects improve the material conditions at the markets, but their impact runs deeper. Each project serves as the impetus for practicing a collaborative and communicative process – the basis of action and improvement. Moreover, the changes, however small, are evidence of a ‘win’ for all people involved. And, it’s that win that provides a foundation for transformational change.